The tool rack is a block designed to hold up to 4 tools or weapons and can be used without a gui for easy access to tools without having to open a GUI. 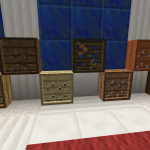 The tool rack also comes in the 6 different vanilla woods and in a framed block version which can be used with the Furniture Paneler to make it look like any solid block. The tool rack can also be shifted forward to sit on the front half of the block. Right-clicking the rack with an accepted tool with put the tool on the rack. Right clicking a tool that is on the rack will cause that tool to pop off. Sneak clicking with an empty hand will open the GUI. To shift the tool rack forward to the front of the block, right click the back of the tool rack with either the screw gun or the hand drill. Sneak clicking with the screw gun or hand drill will rotate the block. This block can be made from any of the 6 different vanilla woods or from framing sheets and framing boards (replace planks with sheet and slabs with boards) and will look like the wood that is used. There is a “force fast render” option that will force the dinner plate to always render the items on it in fast render mode. Set to true to force fast render. # These are the names of additional tools that can be added to the Tool Rack. Added keywords will allow additional items to be placed on this block. 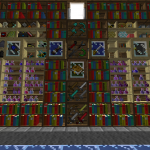 *Fixed a major bug with the tool rack that came up with BiblioCraft v1.9.0 and could cause a tool to disappear when trying to remove it with another tool. *Fixed a crash with the mod Mine and Blade Battlegear 2 when trying to place a weapon or tool on a tool rack or shelf when in two handed mode. *Fixed an issue with fast graphics and gregtech swords double rendering in the sword pedestal and facing the player in the tool racks. *Added default support for chisels in the tool racks. 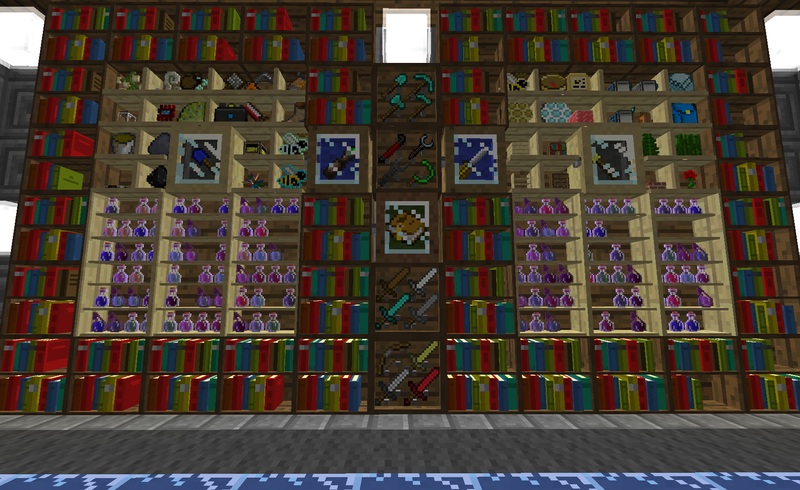 This is tested to work with carpenters blocks but I expect it to work with other chisels in other mods as well. 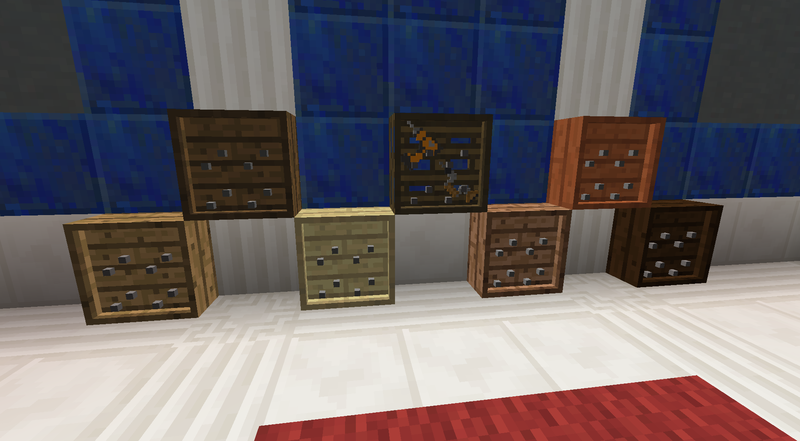 *Upgraded Tool Rack interactions: Right-clicking the rack with an accepted tool with put the tool on the rack. Right clicking a tool that is on the rack will cause that tool to pop off. Sneak clicking with an empty hand will open the GUI.